Looking for Matricaria Chamomilla Essential Oil that is pure, potent and strongly aromatic? Look no further! Visagenics offers only the finest Matricaria Chamomilla Essential Oil, the preferred choice of many individuals and companies around the world. As a Visagenics wholesale customer, you will have access to outstanding therapeutic-grade essential oils of unparalleled quality on very favorable purchasing terms. You are also welcome to take advantage of offer flexible payment options and fast, secure shipping. This ensures a convenient, smooth and transparent purchasing process. Details of our MOQ and other information about ordering are listed below. Also known as chamomile (also spelled camomile), Italian camomilla, German chamomile, Hungarian chamomile (kamilla), wild chamomile or scented mayweed. Matricaria Chamomilla is an annual plant of the composite family Asteraceae. Visagenics Matricaria Chamomilla Essential Oil has a deep dark blue color and is characterized by its sweet, fruity and herbaceous aroma. Matricaria Chamomilla Essential Oil has analgesic, anti-allergenic and anti-inflammatory properties, making it a popular medicinal essential oil. It is also an anti-bacterial and can be used to cleanse and disinfect cuts and abrasions. Matricaria Chamomilla Essential Oil is known as a sedative and it has strong calming properties. Visagenics is an international manufacturing company specializing entirely in the manufacture of very high-quality pure organic therapeutic-grade essential oils. We are headquartered and incorporated in California. All of our manufacturing facilities are located in Bulgaria. We have a 100% organic farming, harvesting and oil distillation operation in Bulgaria’s world-famous Valley of the Roses, where there exist ideal conditions for cultivating floral and herbaceous plants. We take the utmost care when producing our essential oils. Our total commitment to quality goes into every batch of our Matricaria Chamomilla Essential Oil. Visagenics offers only the finest-quality Bulgarian Matricaria Chamomilla Essential Oil, which is considered to be among the best in the world. We are based in the EU and all of our products and manufacturing processes comply with all relevant EU product safety regulations. All our oils are COA Bulgaria. Due to low operating costs in Bulgaria, all of our products represent outstanding value for money. All of our essential oils are wholesaled in bulk, including Matricaria Chamomilla Essential Oil. We also wholesale retail-packaged Visagenics Matricaria Chamomilla Essential Oil in bottles ranging in size from 2ml to 30ml for customers that purchase and resell our products through their own channels. You are invited to take advantage of our highly competitive wholesale pricing, with discounts based on quantity. All of your orders of Visagenics Essential Oils will ship from our warehouse near Sofia International Airport in Western Bulgaria. Our highly flexible MOQ means that you will have total control over the amount of product you order from us. Your smaller wholesale orders will be shipped in 1kg and 5kg aluminum packaging. Your larger orders will be dispatched in steel drums of 185kg each, with four drums (strapped) per shipping pallet. DHL is our preferred carrier; however, you are more than welcome to arrange your own shipping. Shipping costs are not included in the quoted prices of our oils. This means that if you prefer to arrange your own shipping and make use of carrier discounts to minimize costs, you can still easily calculate your overall prices. All of the necessary export documentation will be prepared for you, including COA, MSDA and Certification. This means that your shipment will be able to pass quickly and easily through any customs and border checks anywhere in the world. First-time Visagenics customers are always required to pay for their orders in full before the shipment can be released. You will also benefit from our commitment to establishing long-term relationships with our corporate buyers. With Visagenics, you will experience maximum convenience and a full security guarantee on all transactions. 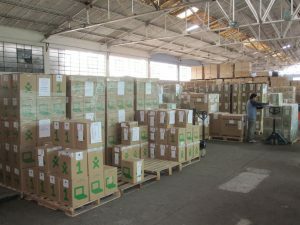 Full inspection of shipments is always welcome on the ground at our warehouse in Western Bulgaria before payments are finalized, so as to ensure that all parties are satisfied at all stages of the process. For repeat customers and regular clients, highly flexible payment terms are on offer, including partial payment upfront. You will also be more than welcome to pay for smaller orders via Bank Transfers and PayPal. You will have access to the 100% guarantee on the quality of all of Visagenics products. If for any reason the oils that you receive from us do not meet expected standards, or if specifications are not as agreed, you may take us up on our offer a full refund on the cost of the order. In addition, the shipment will be returned to us at our expense. We are able to make this offer with complete confidence as we have never once had a returned shipment in the history of our company. The superior strains of Matricaria Chamomilla that grow in Bulgaria, the clean air and soil in the Valley of the Roses ensure that our products are made using only the highest-quality inputs. We use the most advanced distillation processes to ensure that our Matricaria Chamomilla Essential Oil is second to none for aroma, consistency and purity. Visagenics owns substantial land for the cultivation of herbal and floral plants and all of our Matricaria Chamomilla is grown under strictly controlled 100% organic conditions. All of the Matricaria Chamomilla Essential Oil that we produce is MC-DS Tested and Certified. All of our production batches are thoroughly tested in-house and then samples are sent to the highly respected Phytochemia Laboratory in Canada for independent testing. Thus, we are able to assure our customers that all of our Matricaria Chamomilla Essential Oils are pure organic therapeutic grade essential oils. 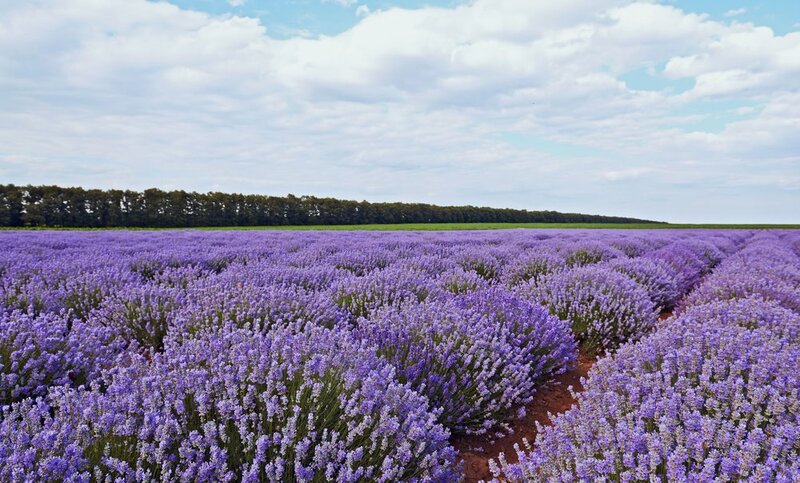 Visagenics maintains complete control over the planting, cultivation, harvesting and storage of all of the herbs, flowers, seeds and other plant materials used in the production of our essential oils as well as all stages of the distillation and bottling processes. This means that we are able to guarantee that Visagenics Matricaria Chamomilla Essential Oil is the best in the world in terms of purity and quality. To find out for yourself just how wonderful Visagenics Matricaria Chamomilla Essential Oil really is, simply get in touch and let us know your requirements. We will respond with a free, no-obligation quote. We are confident that your first shipment will be the first of many!